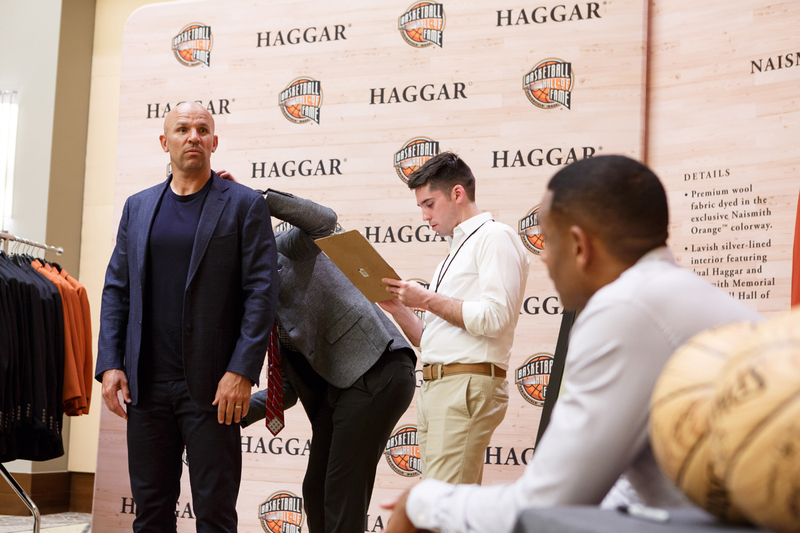 Jason Kidd is officially bound for Springfield and the Naismith Memorial Basketball Hall of Fame. Since he was named to the ballot, Jason’s induction has been nothing short of a foregone conclusion, one of the greatest ever to play the point guard position has long been a first-ballot lock. The official announcement finally came down this weekend in San Antonio, site of the 2018 Final Four. 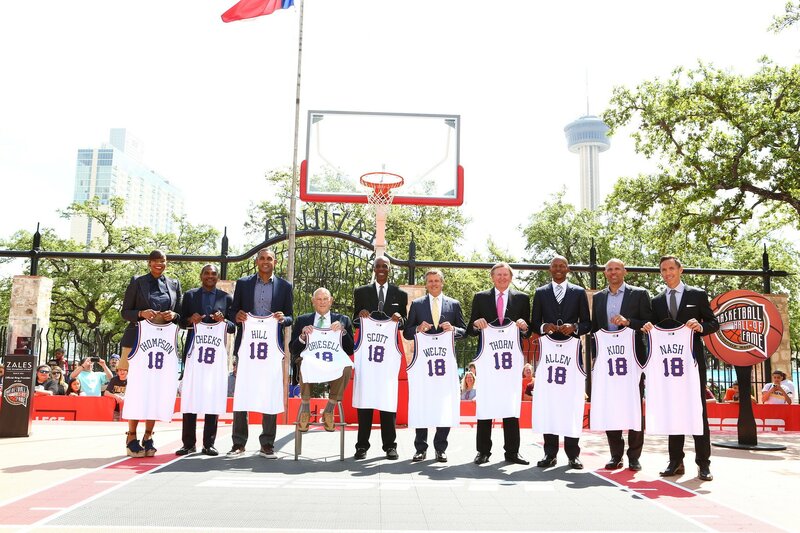 J-Kidd is one of 13 members announced as part of the Hoop Hall’s Class of 2018. The induction, which will occur this summer in Springfield, Mass, honors Jason’s body of work over the course of an incredible 19-year playing career. It began with him being named C0-Rookie of the Year after the 1994-95 season, an award he coincidentally shared with fellow Class of 2018 member Grant Hill. But the rooking honor was just the tip of the iceberg for J-Kidd who spent the next decade-plus as one of the game’ biggest stars. A 10-time All-Star, he was selected to the All-NBA First Team five times, the All-Defensive First Team four times and piled up honors and statistics while leading the players and teams around him to new heights. He made three NBA Finals appearances, including back-to-back Eastern Conference titles with the New Jersey Nets. And the third time was the charm, as in his third Finals appearance in 2011, Jason helped lead the Dallas Mavericks, the team that originally drafted him 17 years earlier, to the NBA Championship. He wrapped up his career two years later and finished it ranked second in NBA history with 2,684 steals, second with 12,091 assists and third in triple-doubles with 107. Take a look back on his Hall of Fame career. In addition to Kidd and Hill, who will forever be linked by that shared Rookie of the Year honor, the 2018 Class also includes former Kidd teammate another all-time great point guard Steve Nash, and executive Rod Thorn, who orchestrated the deal to bring J-Kidd to New Jersey from Phoenix, re-energizing the Nets franchise with a move that led directly to two Finals trips for the now Brooklyn Nets. Other inductees include Kidd’s NBA peer Ray Allen, elder statesmen Maurice Cheeks and Charlie Scott, women’s players Tina Thompson, Katie Smith and Ora Mae Washington, coach Lefty Driesell and European player Dino Rada. Support and Congratulations for J-Kidd poured in over the weekend. It's official! Golden Bear Great @RealJasonKidd joins the @Hoophall #18HoopClass. Congratulations to @realgranthill33, @RealJasonKidd, and @SteveNash on their induction to the 2018 Naismith Basketball Hall of Fame and to the rest of the 2018 nominees! What I love about Grant, Jason, and Steve is they were all about winning and made their teammates better. Jason Kidd and the rest of the Class of 2018 will be inducted into the Naismith Memorial Basketball Hall of Fame September 6-8, 2018 in Springfield, Massachusetts. For information on how to attend the event, visit HoopHall.com.